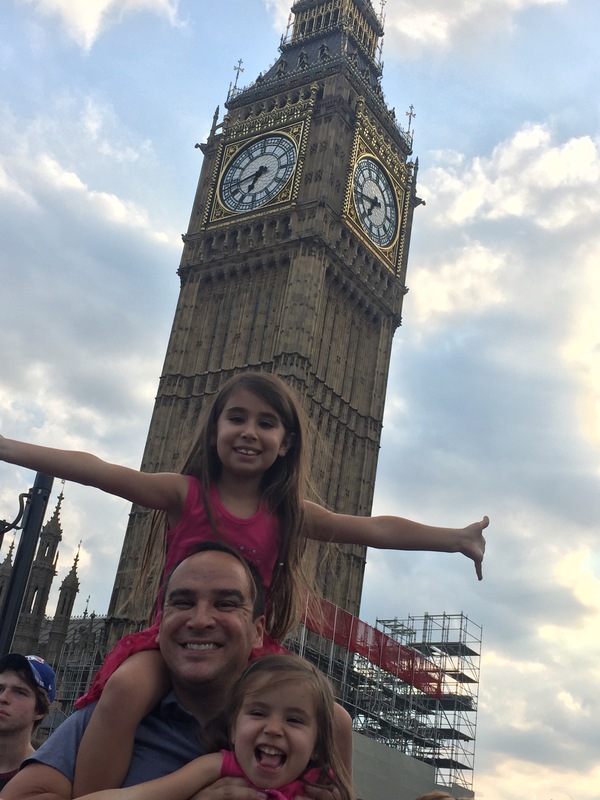 The family is putting a ribbon on a rapid & righteous trip to London, the first time my girls Alexia & Talia, have gone across the pond. While the prospect of boarding a plane with them for 8+ hours is now more terrifying than The Exorcist ever was, I’m still calling this an unqualified win for a simple reason: They had a great time. We did impossibly touristy things over 4 days, like visited the London Eye, saw and photographed Big Ben from every possible angle, took the double-decker tour bus all across London during an absolutely scorching hot weekend, and popped in on the Royal Family at Buckingham Palace and visited the Tower of London. It’s what’s great about traveling with children. Those wonderfully cheesy sights are awesome to those young eyes. What’s not so great? The anxiety that hits every parent when heading overseas these days with their kids. Wondering if it’s the the right move to bring the family along on a work trip to a city that has been hit in recent weeks by horrifying acts of terror in Manchester, Westminster Bridge and London Bridge. My wife and I certainly debated it right up until just a few days before our departure. And then late Sunday, the awful attack on a Mosque in North London happened…while we were asleep in our hotel in West London. I’m still glad we made the trip. Don’t regret it a bit. Not just because London is an amazing city. It is, but anyone who’s been here knows that. 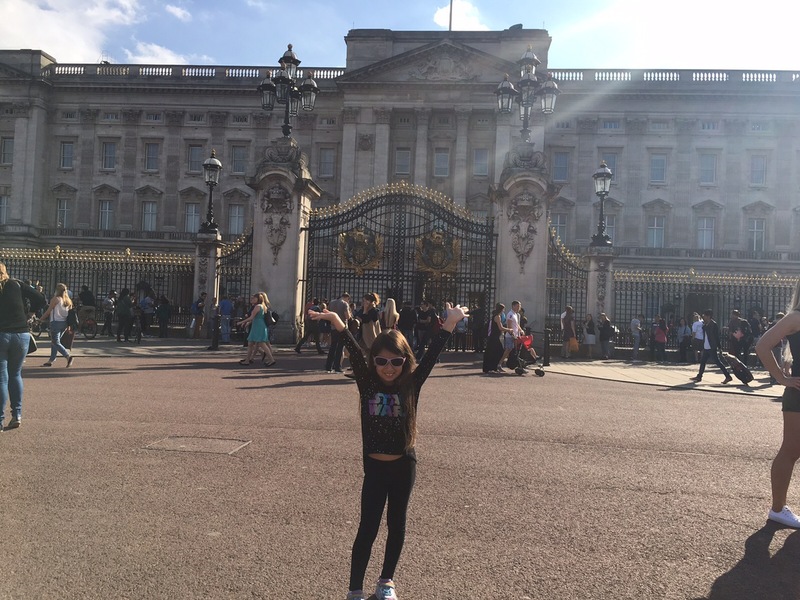 It’s also an amazing city for kids to begin their exposure to the rest of the world. 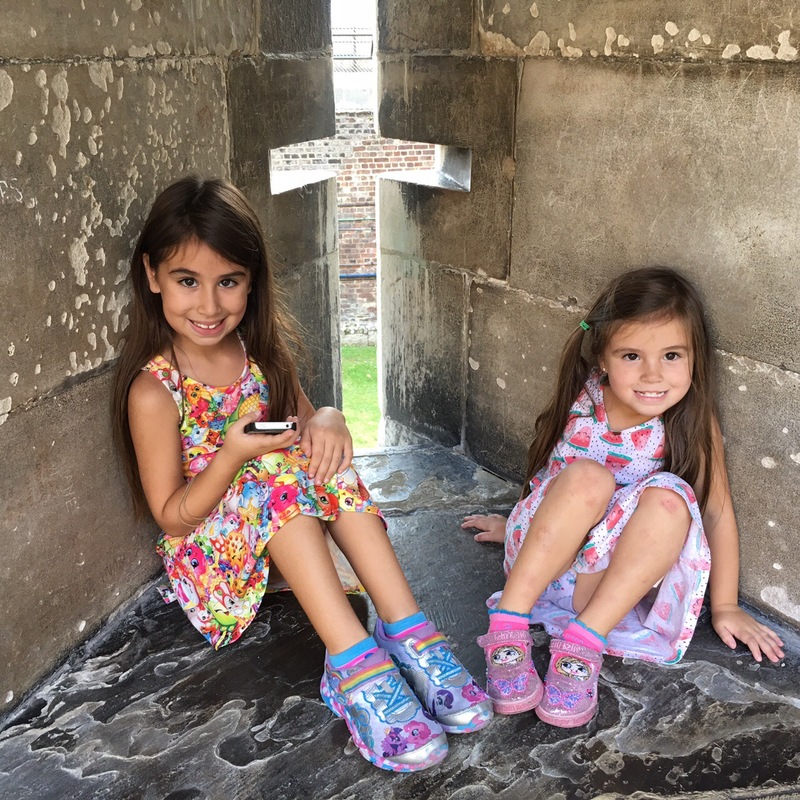 The culture, the history, the architecture, the food …it’s the perfect gateway drug for kids to want to explore Europe and the world beyond. I was 26 when I first made it to London. 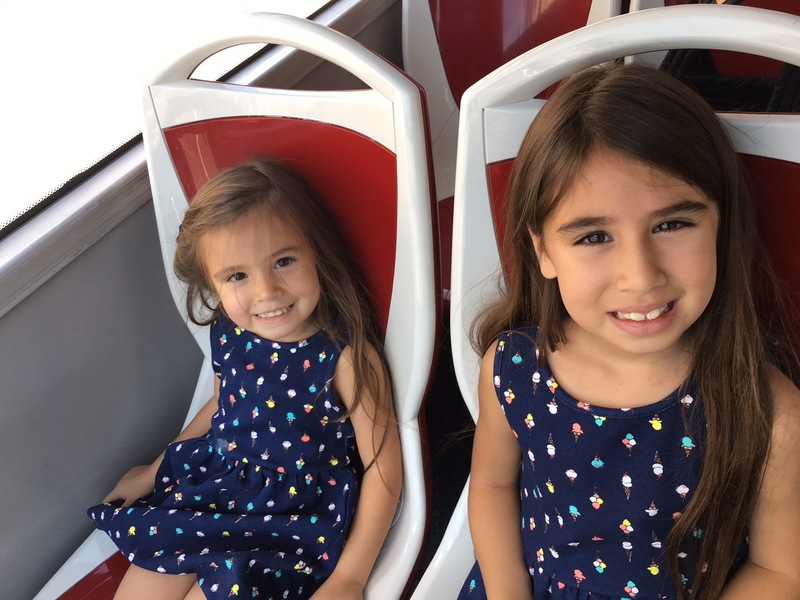 My girls are 6 and 3 years old and already have more stamps on their passport than I had when I graduated from college. You live your life the best way you can, as long as you can. Nothing is promised to us, and time is fleeting. So get to living, before it passes you by. That doesn’t mean being careless or taking any unnecessary risks. I’m the guy who always sits facing the door at every restaurant or bar, I’m always eyeballing the crowd in any busy space, I do the left-right-left at every intersection (Officer Friendly, yo!) and I keep my kids on a SHORT leash in public. Helicopter dads ain’t got nothin’ on me! But I won’t live my life as a hostage to specific fears. I never have, and I’m certainly not going to teach my kids otherwise. My wife and I moved to New York City just a few weeks after 9/11, even after several friends tried to talk us out of it. Moving there was one of the best decisions we ever made, for all sorts of wonderfully different reasons. Including eventually, the birth of our two girls. That’s all the proof I need supporting that call. 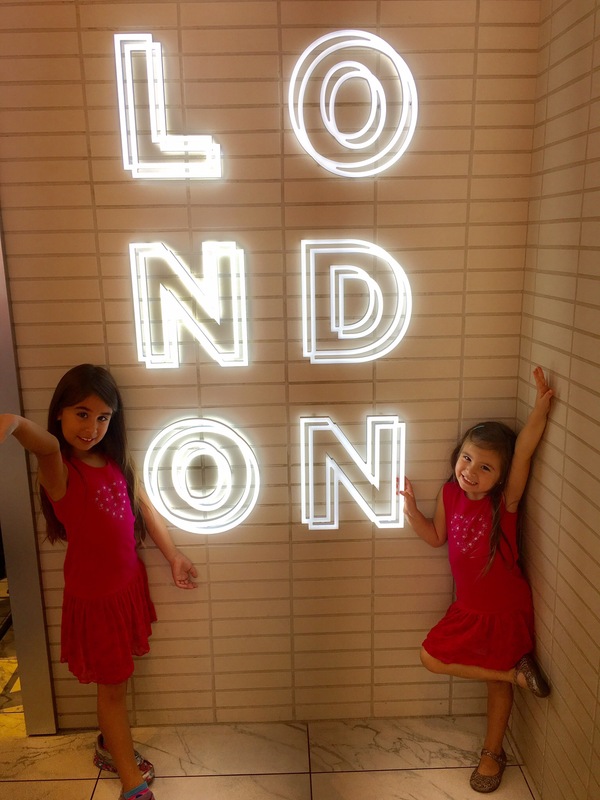 The smiles on my girls’ faces at the end of each day here in London – and all the photos they took – was confirmation this was the right move, too. Live your life. With eyes wide open. But live the hell out of it. Previous Post Father’s Day gifts that dad will actually like!